Victor Kislyi has a secret qualification, one entirely befitting the CEO who orchestrated the rise and rise of World of Tanks. “I think I’m a second lieutenant of the Belarus reserve army. I’m particular adept with rockets. I can shoot multiple rockets at a time with my training.” As a native of Belarus, he’s been through compulsory military service. And yet, despite knowing the strict realities of army life, World of Tanks is essentially a game of tin soldiers. It’s a game Victor has built, in some form of other, since the early 90s. Kislyi’s new company’s first game was called Iron Age. He describes it as a cross between Risk and Panzer General, but played online. It wasn’t a hit. A grand total of six people played it, including the development team, Kislyi’s brother, and a tank-obsessed guy who went by the name of ‘Tiger’. But the experience was important: the team were already beginning to understand how to make online multiplayer games, just as Eastern Europe was getting wired. Massive Assault spawned a handful of sequels that kept Wargaming afloat and in business for the best part of a decade. But the world was changing, and Wargaming decided it was time to change course. “Between 2007 and 2008, we realised that the current retail model is a way to nowhere, due to the piracy and the publisher/physical copies,” Kislyi said. Their latest game, a World War II RTS called Order of War had been cracked by pirates and was on torrent sites within eighteen hours, and the general feeling was that retail gaming wasn’t the way forward. Enter World of Tanks. 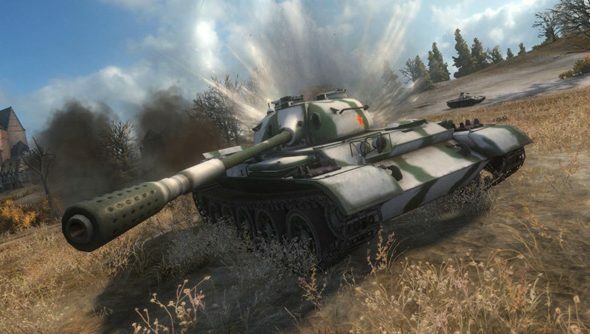 Development on World of Tanks started well before the free-to-play revolution, before the market had shifted under the weight of games like League of Legends. It was a risk, but a calculated one, and funded by a stroke of good fortune. Wargaming had been working as contractors building small websites – it was cash to keep the company afloat. Along the way, they’d build some display advertising tech for a Californian start up, and accepted equity in lieu of cash. In 2007, that company was acquired by Yahoo for $300 million dollars. 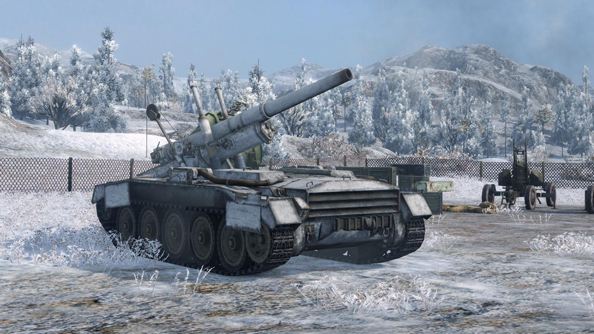 Wargaming’s share was around $10 million. “In 2008, we just so happened to have a team or 40 cutthroat, battle worn team members and artists who, with $10 million in the bank, released that now, we could do something different.” It was game on. Wargaming knew they wanted to make an MMO. They started work on a science fiction game, but Eve Online stole their thunder. That’s where Tiger, the tank-obsessed player of Kislysi’s first game, came in. Now a designer working at Wargaming, he pitched a small, niche idea: “Why don’t we make something more niche, that’ll target middle aged gentlemen, like you and me? Lets make an MMO about tanks”. The cogs began to fit together. 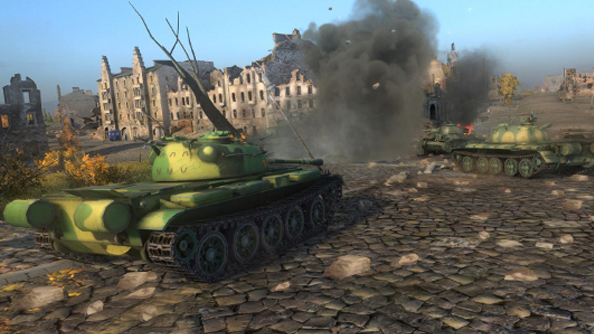 In 2010, the first iteration of World of Tanks was finished and released to the Russian market. The response was ballistic. Servers struggled to keep up with demand, despite users only flooding in from one nation. The team had created a bonafide hit in eastern Europe. Now it was time to roll out to the western front. 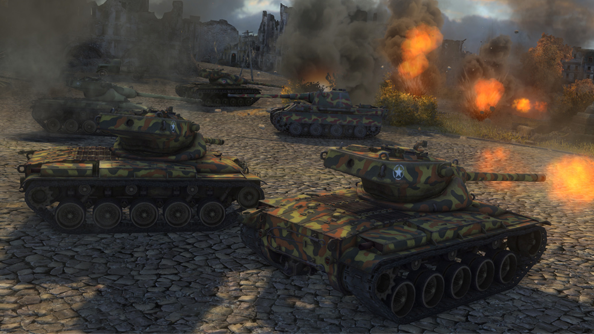 Next: Inside Wargaming’s explosive growth, and why preserving history matters. Additional reporting by Matt Purslow and Nick Wilson.